Whether it's the gentle patter of raindrops falling around you in the forest or a squadron of choppers closing in overhead, MartinLogan's ElectroMotion FX2 surround speaker can deliver your movie and TV show soundtracks with a startling sense of realism that brings them to life. Thanks to its advanced design and technologies, you can count on the EM-FX2 for clear, precise surround effects and an unforgettable home theater experience. This speaker's low distortion and uniform sound dispersion make it a perfect surround sound partner to any of MartinLogan's floor-standing towers, including their Theos and ElectroMotion ESL electrostatic speakers. The EM-FX2 boasts two of MartinLogan's innovative Folded Motion XT tweeters in a wide-dispersion array to provide room-filling surround sound. Each tweeter uses a pleated diaphragm that works similarly to an accordion by "squeezing" air to create sound. Because it requires almost 90% less excursion than the typical 1" dome tweeter, response time is drastically reduced along with distortion. The diaphragm's increased surface area also provides wide, yet controlled sound dispersion to create a realistic and highly accurate soundstage. 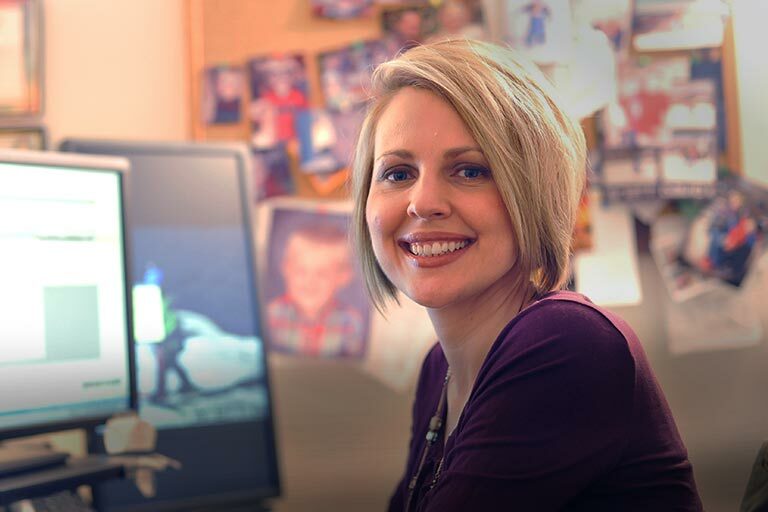 And this tweeter boasts a 40% lager radiating surface area than found in MartinLogan's Motion® series models for even greater bandwidth and efficiency. 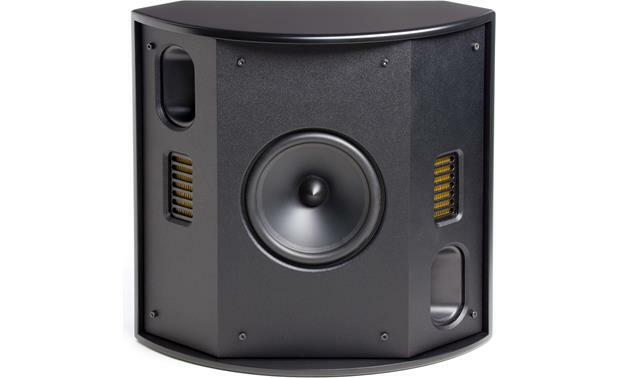 The EM-FX2 uses a 6-1/2" high-excursion cone woofer to supply powerful, articulate bass that blends in seamlessly with the Folded Motion XT tweeter. An advanced, audiophile-grade crossover further ensures precise driver integration for high-accuracy sound. The EM-FX2 is designed to corner mount, wall mount or angle-wall mount for versatile surround sound placement options in any room. Its sleek, low-profile design allows it to blend in with your décor and virtually disappear from view. A flush-mount bracket is included for easy and secure mounting. 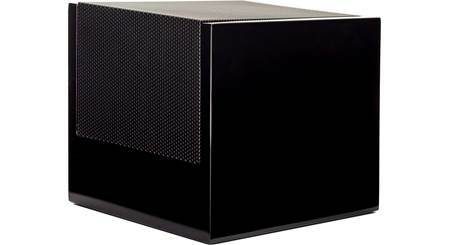 MartinLogan's ElectroMotion Series Surround Loudspeaker: The MartinLogan ElectroMotion FX2 surround speaker features dual Folded Motion XT tweeters in a wide-dispersion array ideally suited for surround channel applications. 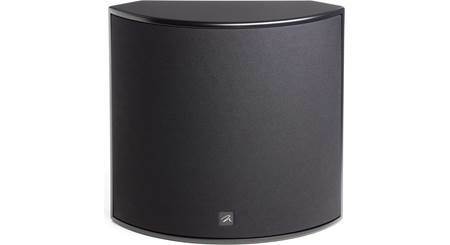 A single 6.5" doped fiber-cone woofer provides powerful low-frequency extension. 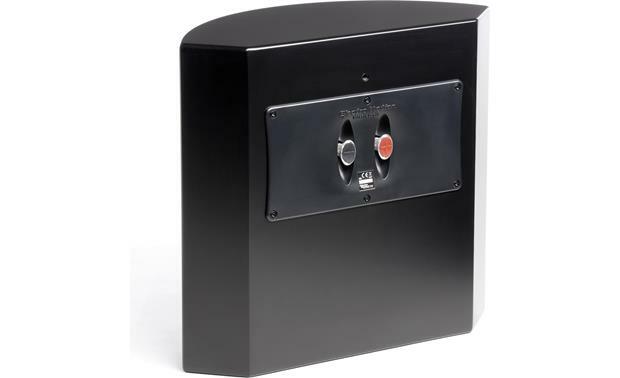 Available in a black satin finish, the EM-FX2 is designed to corner mount, wall mount, or angle-wall mount for versatile surround sound placement in any room. 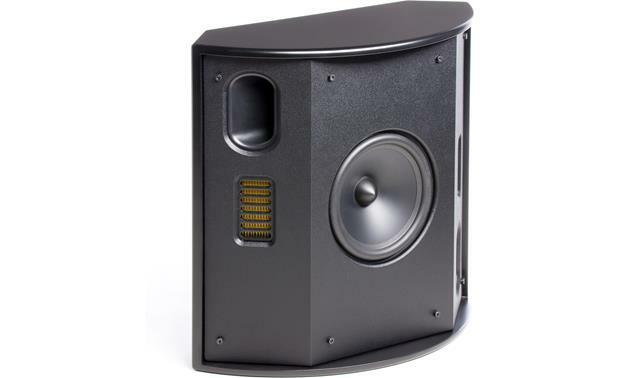 Dual Folded Motion XT Tweeters: MartinLogan's 1.27" x 2.4" Folded Motion XT tweeter boasts a radiating surface 40% larger than those found in their Motion Series loudspeakers. This substantial leap in size increases the bandwidth and efficiency of the high-performance tweeter for effortless surround channel performance. 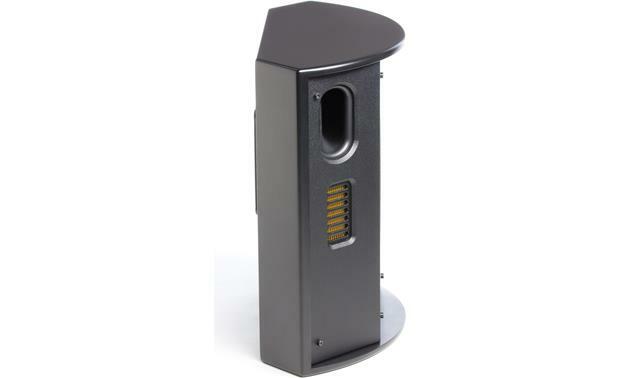 The MartinLogan Folded Motion XT Tweeters help give the ElectroMotion FX2 its natural, realistic high frequency sound. 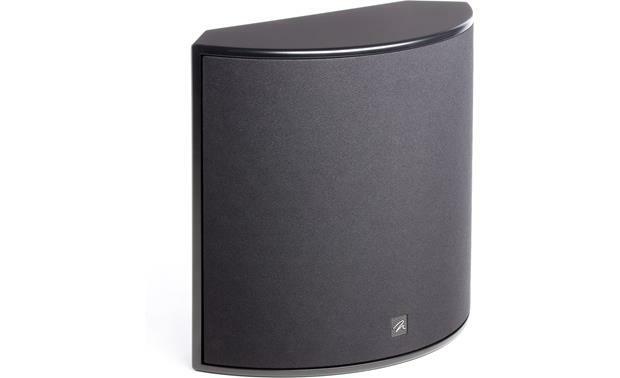 Lightning fast transient response, combined with its large surface area creates clear, dynamic, and precise sound. 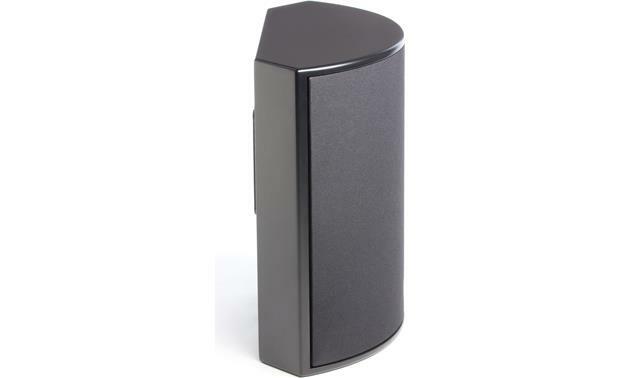 The Folded Motion XT tweeter works by moving air (which creates sound) perpendicular to the folded ridges of the diaphragm, similar to how an accordion works. This extremely low mass diaphragm "squeezes" air and requires less excursion than a typical tweeter, which drastically minimizes distortion while providing a lightning fast response time. The two Folded Motion XT tweeters provide a controlled sound dispersion of 160° (h) x30° (v) to create a realistic and carefully etched sound stage. 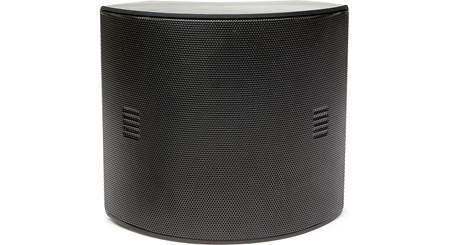 6.5" Doped-Fiber Woofer w/ Side-Firing Ports: The MartinLogan ElectroMotion FX surround loudspeaker features a 6.5" doped-fiber cone woofer with a cast aluminum basket housed in a non-resonant asymmetrical chamber. The doped-fiber cone woofer uses a rigid structured dust cap and butyl rubber surround to reduce cone break-up and distortion. The 6.5" woofer is paired with dual side-firing bass ports to deliver higher output and audibly richer, deeper bass performance. 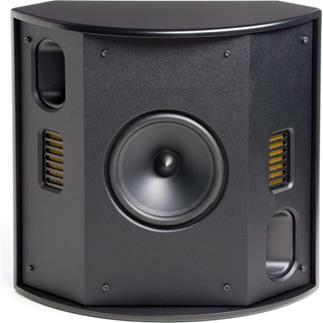 Precision Crossover: To seamlessly blend the audio output from the high frequency drivers (dual tweeters) and the midbass driver (woofer), the EM-FX2 loudspeaker features a precision crossover utilizing custom air core coil and low DCR steel laminate inductors, polyester film capacitors in series, and low DF electrolytic capacitors in parallel. 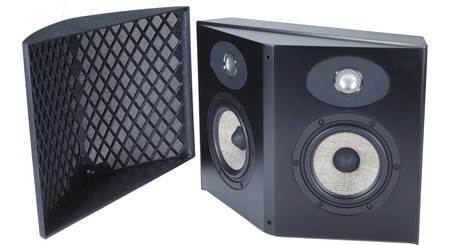 Spring-Post Connectors: The MartinLogan ElectroMotion FX2 speaker features two spring-post connectors to attach your speaker wire. The spring-posts will accept bare wire (16- to 10-gauge), pin-connectors, and banana plugs (single only). The rubber caps on the spring-post connectors must be removed to use banana plugs. Applications: The MartinLogan ElectroMotion FX can used as a rear or side surround speaker in a home theater application for any size room. 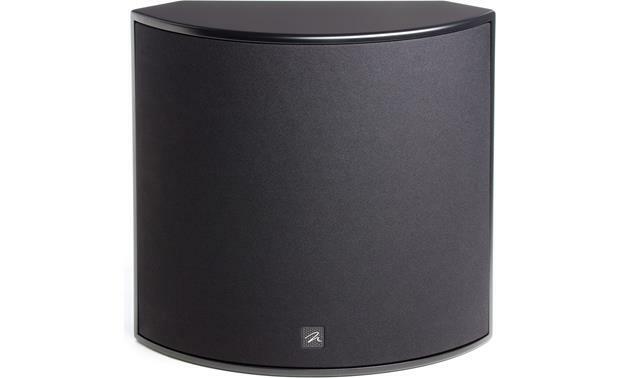 Mounting Options: The MartinLogan ElectroMotion FX surround loudspeaker can simply be placed on a table-top, stand, shelf, or other flat surface. 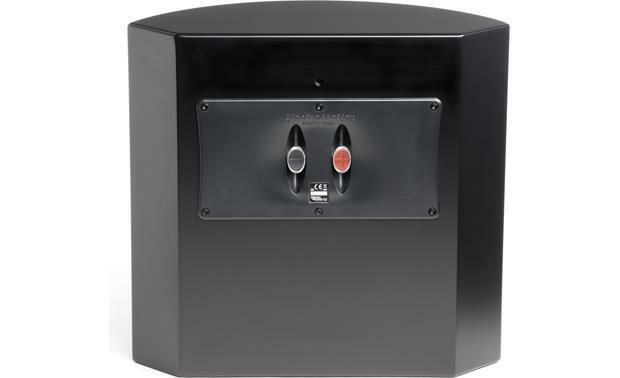 Two self-adhesive rubber feet are included for safe and secure placement. Using the included keyhole-slot bracket, you can wall-mount the speaker against a flat wall, in a corner, or angled on a wall. Searches related to the MartinLogan ElectroMotion® FX2 Surround speaker.